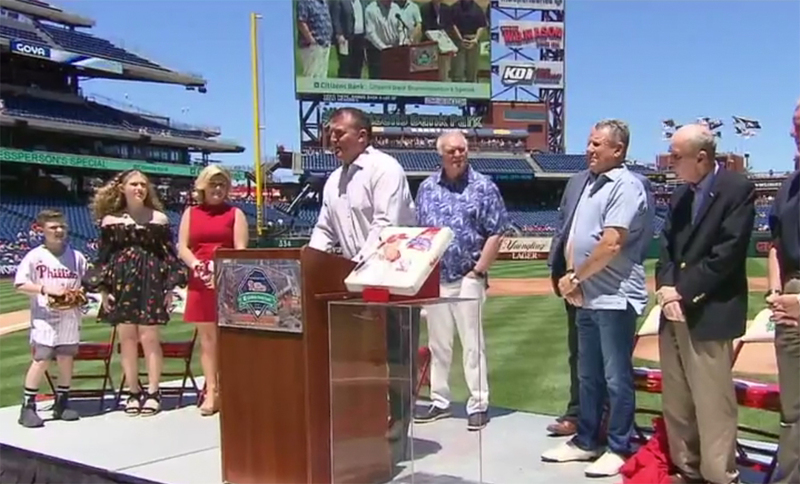 The Philadelphia Phillies honored slugger Jim Thome during a pre-game ceremony on June 14, presenting him with this one-of-a-kind painting as recognition of his induction into the Baseball Hall of Fame. 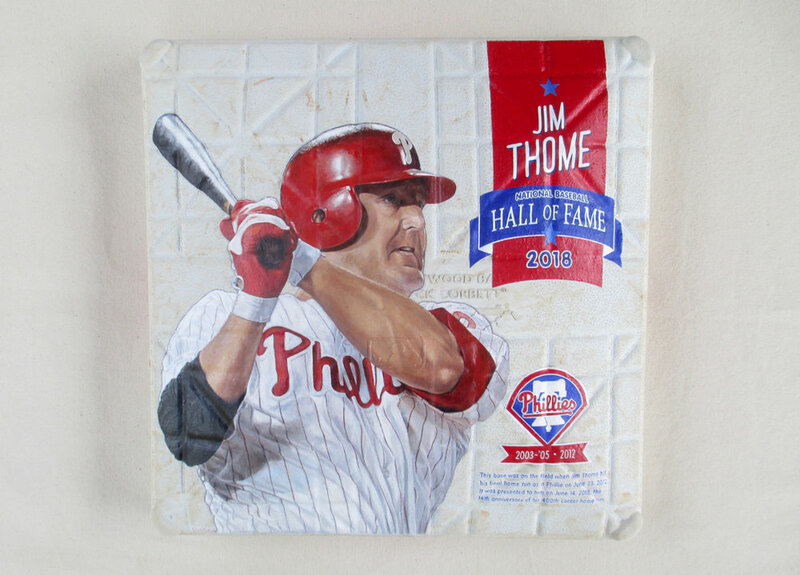 The Phillies sent me a game-used base with a connection to Thome's time on the team for this painting commission. 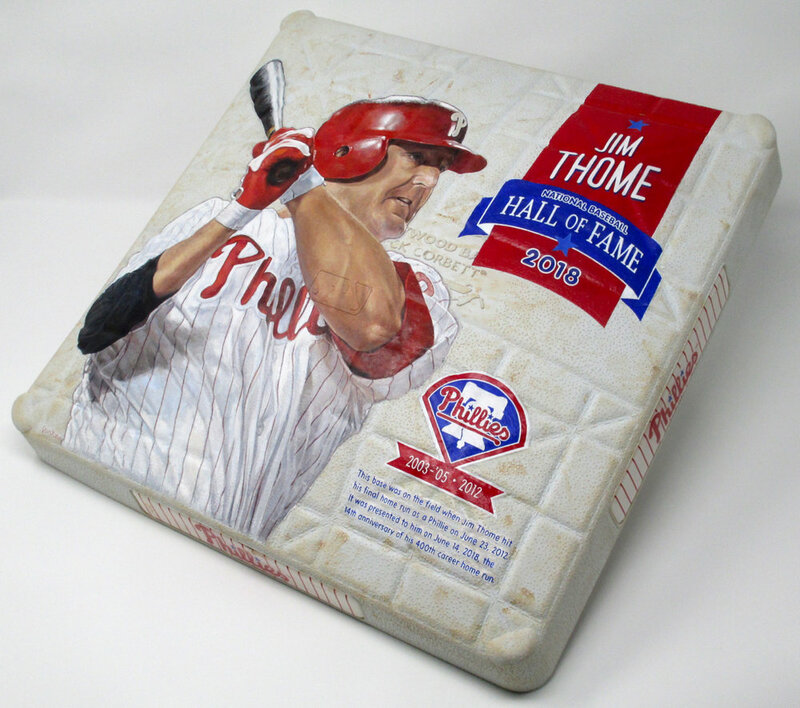 The base was on the field as first base when Thome hit his final Phillies home run, a walk-off homer in 2012. The painting was created with acrylic paints and is 15 x 15 inches. Once the team selected from a variety of designs I presented, work began on preparing and painting the base. 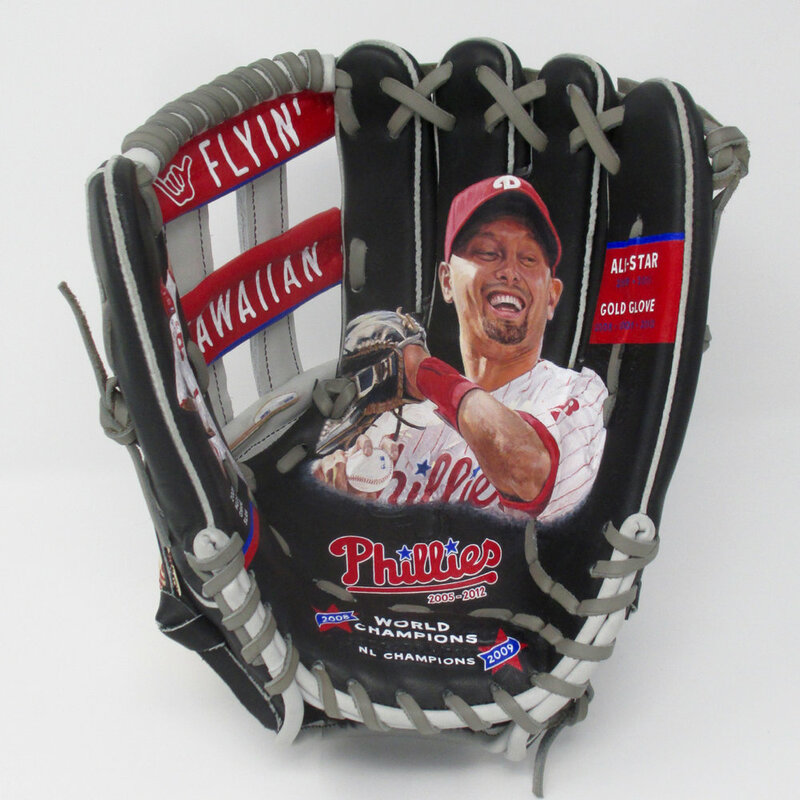 This included hand-lettering of text, Phillies logo and portrait painting. 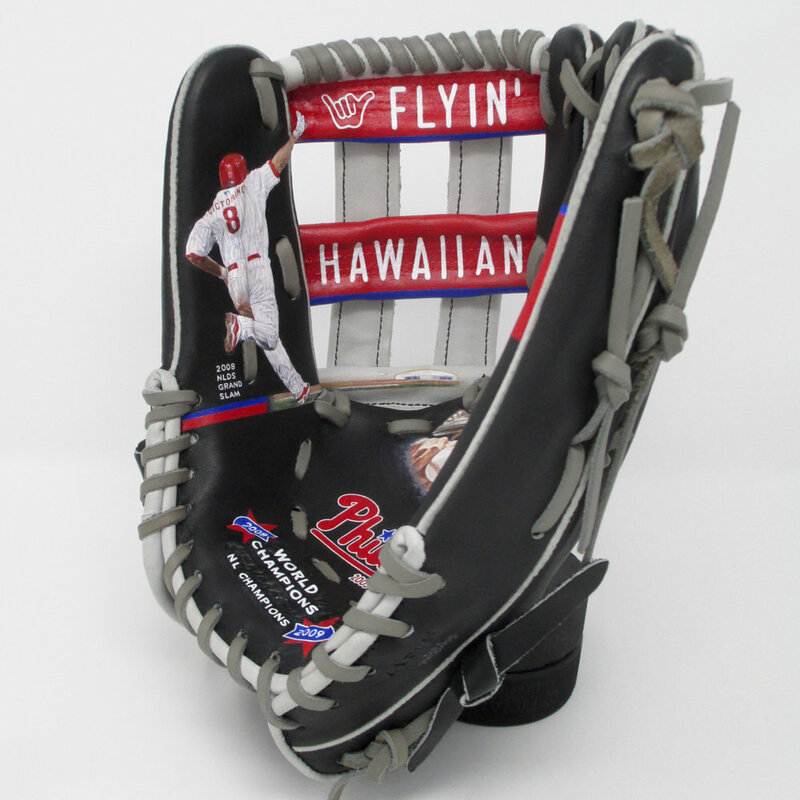 Quite a bit bigger than my usual glove art, this one clocked in at 120+ hours. Thome signed with the Phillies in 2003. Over parts of four seasons with the team, he hit .260 with 101 home runs, 281 RBI and a .925 OPS. 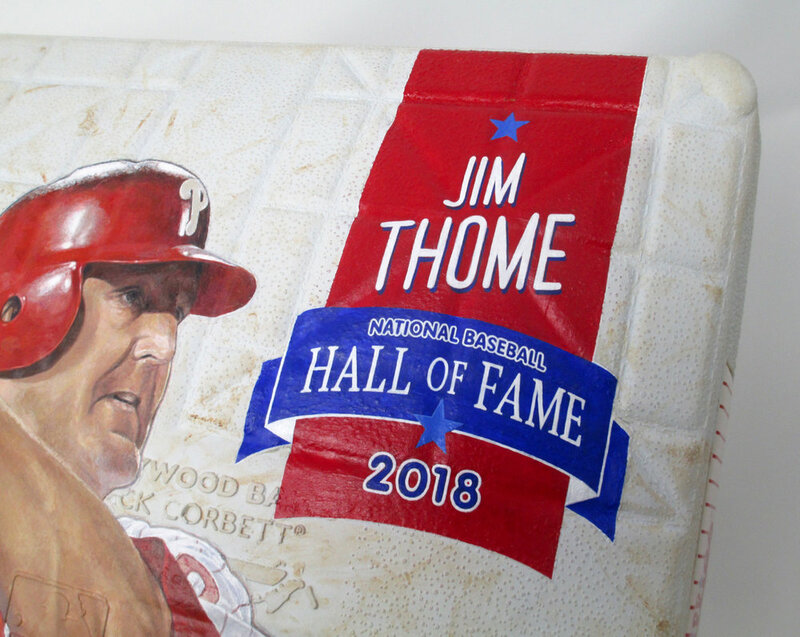 Thome finished his career with 612 home runs over 22 seasons and was elected to the Baseball Hall of Fame in 2018. Work in progress, rotated to get the light to land where I can see what I'm working on. This is my third painting for the Phillies. 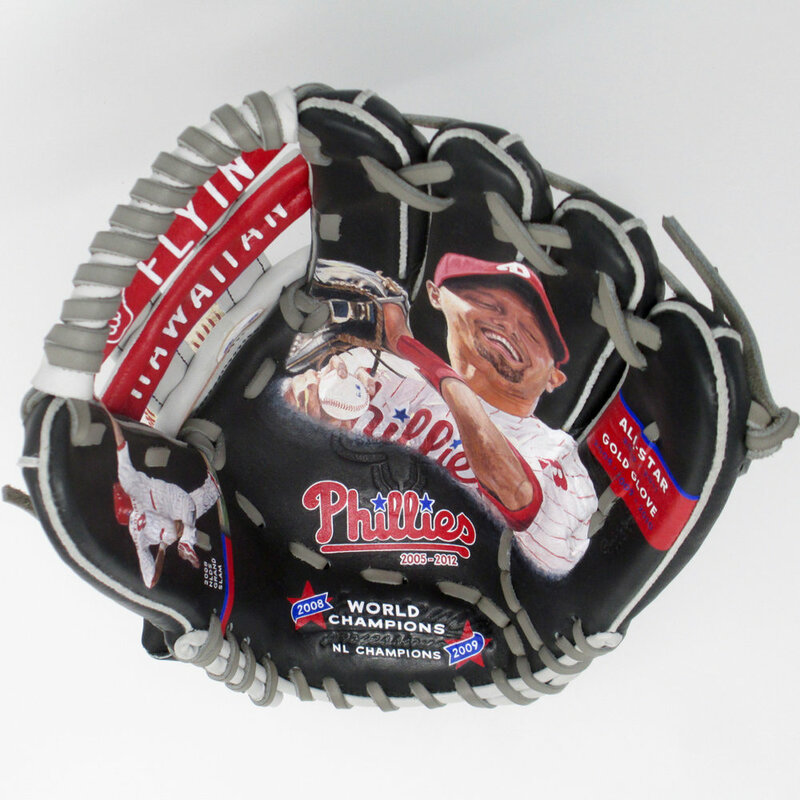 Previously I painted catcher "Chooch" Ruiz and a glove for Ryan Howard, which was also presented in an on-field ceremony at Citizens Bank Park. Back of Thome base with MLB authentication sticker and my back labels. Thanks to the Phillies for asking me to partner with them to create this special gift and here's to Jim and his family enjoying this keepsake artwork for years to come.